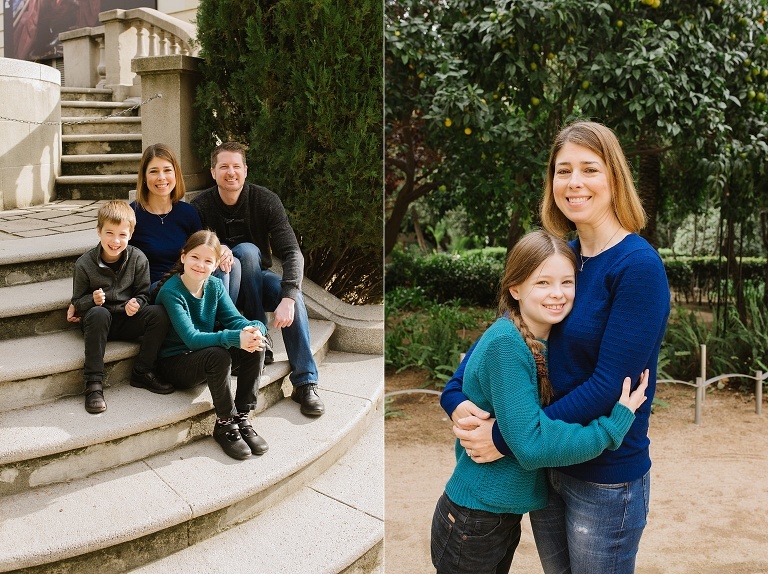 One of the wonderful things about being in Barcelona for a short period of time is meeting other expat families that have been here many years! 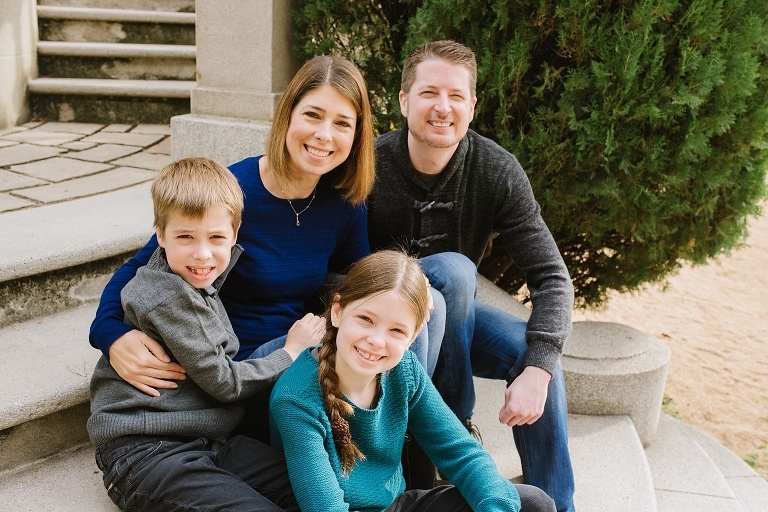 Allison contacted me to photograph her sweet family since it had been a while since their last family portrait. 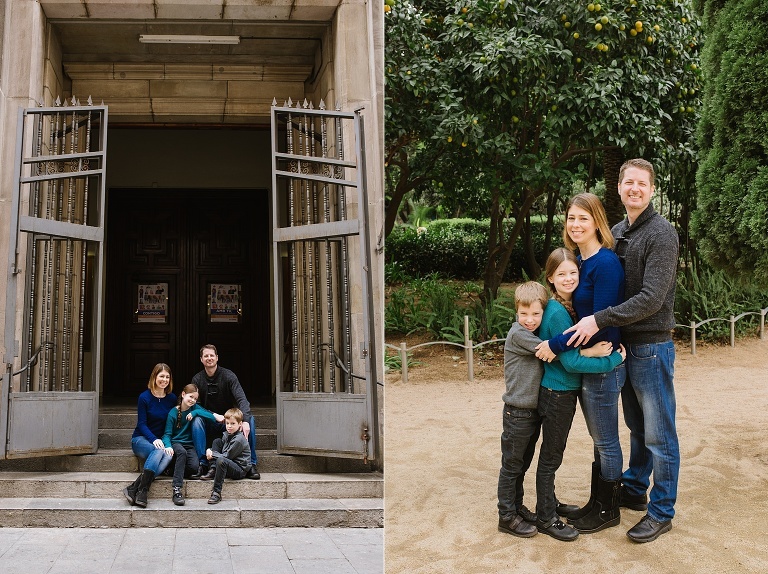 We gathered together for their session in Eixample, part of Barcelona that is filled with grand architecture, beautiful doors, and lots of Gaudi modernisme design at every corner. It’s a beautiful city, but this is one area that I particularly love! I love exploring and finding little hidden spots to photograph. Soccer (football) is a sport of massive obsession here. 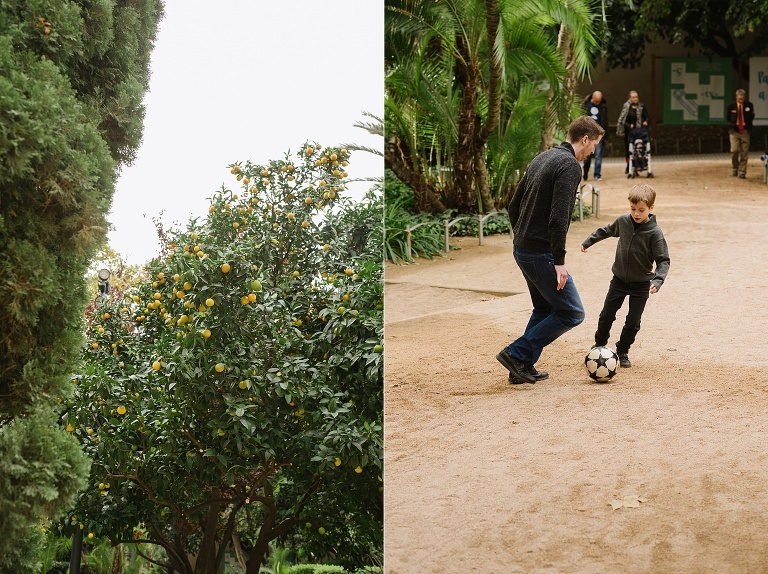 It’s no surprise that Allison’s kids have jumped on the bandwagon – kids play soccer EVERYWHERE. There’s very little grass in Barcelona, so most games are played in plazas or sandy parks such as this one. It’s my suspicion that everyone who learns soccer here is so good at it because they HAVE to be fast in order to keep up with the ball on such a quick surface! I kind of love this one 🙂 Both of their kids have adjusted so well to life in Barcelona. They’re already fluent in Spanish after not much time, but the thing I love most, is that they are best friends. For two kids in the not-yet-teenager phase of life, this is SO wonderful to witness! I love that bond! My favorite from their entire session! A favorite in Barcelona – bakeries! You can find your favorite pastries, donuts, and other lovely treats on just about every block in Eixample and Barcelona. It’s a good thing I walk just about everywhere, because I’ve definitely given into the aroma of fresh croissants more than once! I’m so grateful for this session! It was early on during our time in Barcelona, right when I needed some connections with other people. Meeting Allison and her family was so encouraging! Thanks so much for showing me around Barcelona a bit, sharing your tips and favorite restaurants, and welcoming me to Spain!